Rumour No. 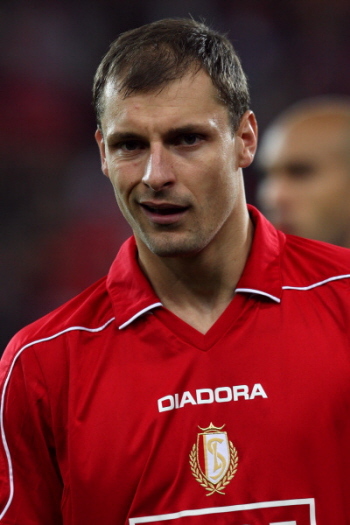 1: According to The Daily Express, Liverpool have offered a three year deal (with the option of a one year extension) to Standard Liege striker Milan Jovanovic as they hope to tie up a free transfer for the Serbian. Jovanovic has been attracting interest from some of the biggest clubs in Europe, with AC Milan and Juventus both known to be chasing the 28 year old. Rumour No. 2: Nepotism Ahoy! The Daily Mail have reported that Preston North End have secured the signing of Manchester United youngster Danny Welbeck on loan until the end of the season. The Best of the Rest: Dynamo Moscow have offered £7m for Liverpool midfielder Yossi Benayoun. Man City are considering a bid for out-of-favour Roma right back Marco Motta. Marca is reporting that City have also made a revised bid of £15 million for Real Madrid midfielder Fernando Gago. Aston Villa have refused to let Celtic talk to Curtis Davies regarding a loan move to Parkhead. Everton are trying to raise funds to match Klaas-Jan Hunterlaar‘s wage demands. Tottenham are in ‘advanced talks’ to bring £11 million rated Palermo defender Simon Kjaer to White Hart Lane. But two players who may leave Spurs are Tom Huddlestone (who is desperate for regular first team football) and Giovani Dos Santos (who is on the verge of moving to Galatasaray on loan). Benjani Mwaruwari has become the latest striker linked with a move to West Ham before the window shuts. The Hammers are also preparing a fresh £3 million bid for Stoke’s James Beattie. Blackburn Rovers are tracking Hadjuk Split’s Bosnian midfielder Senijad Ibricic. Lens striker Toifilou Maoulida has rated his chances of moving to the Premier League as ’50/50′. The former Marseille man is said to be interesting Stoke, Wigan and West Ham. Wolverhampton Wanderers have signed a second midfielder from Belgian club Charleroi. After Geoffrey Mujangi-Bia joined Wolves on loan last week, French midfielder Adlene Guedioura has followed suit and signed up until the end of the season. Marlon Harewood‘s proposed move to Newcastle United is off as the Aston Villa man has broken a bone in his foot. However, Newcastle are hopeful of completing their move for Portsmouth’s Mike Williamson during the next 48 hours.